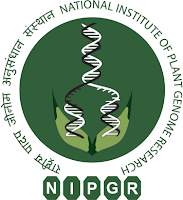 Applications are invited from suitable candidates for filling up one position of Senior Research Fellow (SRF) in the Institute with Dr. Gitanjali Yadav, Scientist, NIPGR, in the scheme "Linking Phytochemical Dynamics of India's Most Aggressive Plant Invader to Genomic Adaptations" of NIPGR. The position is completely on temporary basis with maximum duration of three years. The initial appointment will be for a period of one year but can be curtailed or extended based on the performance of the candidate and discretion of the Competent Authority. Qualification for SRF: Candidates with Master’s or equivalent interdisciplinary Degree in Environment/Ecology/Life sciences/Bioinformatics or any other related field, with relevant research experience (two years post- Masters Degree experience) are eligible to apply. Preference will be given to candidates with field work and laboratory experience in ecology, molecular biology techniques, phytochemistry, and invasive species biology. Eligible candidates may apply through email or by sending hard copy of complete application in the given format with a cover letter showing interest and attested copies of the certificates and proof of research/teaching experience. The applications should reach at the address given below within 15 days of the date of this advertisement. The Email Subject or Envelope should be superscripted by "Application for the Post of SRF in the "Linking Phytochemical Dynamics of India's Most Aggressive Plant Invader to Genomic Adaptations" at NIPGR. Please apply directly by email, if possible. Applications are invited from suitable candidates for filling up the purely temporary positions of one Junior Research Fellow and one Research Associate in the DBT project entitled "Identification, diversity functional roles of host-encoded resistance in vector borne plant RNA viruses", under the supervision of Dr. Gitanjali Yadav, Scientist, NIPGR. (A) Research Associate (RA-I) (One post): Emoluments as per DST/DBT norms & as sanctioned in the project. Candidates having Ph. D degree with relevant experience in Life Sciences/Bioinformatics/Biochemistry/Biotechnology/Plant Molecular Biology or any other related field are eligible to apply. Candidate having experience in the area of programming, R based NGS data analysis, RNA biology and virology will be given preference. The candidate should have first class/division throughout academic career. (B) Junior Research Fellow (One post): Emoluments as per DST/DBT norms & as sanctioned in the project. Candidates having M.Sc. degree or equivalent in Life Sciences/Bioinformatics/Biochemistry/Biotechnology/Plant Molecular Biology or any other related field are eligible to apply. Candidate having experience in the area of Structural Bioinformatics, docking, molecular modeling, R, Database development and /or web design will be given preference. The candidate should have first class/division throughout academic career. The above positions are completely on temporary basis and co-terminus with the project. The initial appointment will be for one year or till the tenability of the project whichever is earlier, which can be curtailed/extended on the basis of assessment of the candidate’s performance and discretion of the Competent Authority. NIPGR reserves the right to select the candidate against the above posts depending upon the qualifications and experience of the candidates. Reservation of posts shall be as per Govt. of India norms. Eligible candidates may apply by sending hard copy/E-mail of the duly filled application in the given format with a cover letter. The attested copies of the mark-sheets, certificates, and proof of research experience/publications should be attached. The applications should reach the address given below within 15 days from the date of the advertisement. The envelope should be super-scribed as "Application for the Post of "Research Associate/Junior Research Fellow", under the supervision of Dr. Gitanjali Yadav. Note : No TA/DA will be paid for attending the interview. 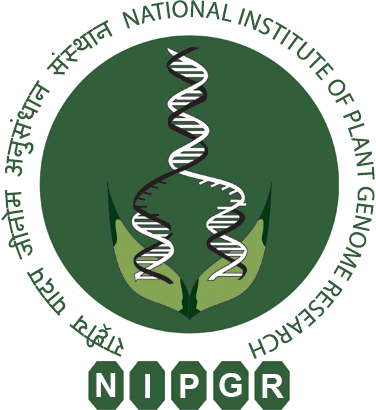 Applications are invited from suitable candidates for filling up the purely temporary positions of two Senior Research Fellows in the DBT project entitled 'Introgression of Begomovirus resistance genes in tomato (Solanum lycopersicum L.) using MAS and genomics approach', under the supervision of Dr. Manoj Prasad, Scientist, NIPGR. (A) Senior Research Fellow (Two posts): Emoluments as per DST/DBT norms & as sanctioned in the project. Candidates having M.Sc./M.Tech degree (with minimum 60% marks) in Life Sciences/Biotechnology/Bioinformatics/Plant Molecular Biology or any other related field with at least two years research experience (supported by atleast one publication in peer-reviewd international journal with JCR impact factor) are eligible to apply. Candidate having experience in the area of advanced molecular biology and/or plant virology will be given preference. Eligible candidates may apply by sending hard copy of the duly filled application in the given format with a cover letter. The attested copies of the mark-sheets, certificates, and proof of research experience/publications should be attached. The applications should reach the address given below within 15 days from the date of the advertisement. The envelope should be super-scribed as "Application for the Post of "Senior Research Fellow", under the supervision of Dr. Manoj Prasad. Applications are invited from suitable candidates for filling up one position of Research Associate (RA) in the Institute with Dr. Manoj Prasad, Scientist, NIPGR, in the scheme of "Short-Term Research Fellowship" programme. The position is completely on temporary basis with maximum duration of three years. The initial appointment will be for a period of one year, which can be curtailed or extended based on the performance of the candidate and discretion of the Competent Authority. Qualification: Candidates having Ph. D. Degree (awarded) in the discipline of Life Sciences/Biotechnology/Bioinformatics/Plant Molecular Biology or any other related are eligible to apply. The candidate should have a good academic record and research experience. At least four publications in peer-reviewed International Journals with JCR impact factor are desirable. Candidate having research experience in the area of advanced plant virology will be given preference. Eligible candidates may apply by sending hard copy of the duly filled application in the given format with a cover letter along with self-attested copies of the mark-sheets, certificates, proof of research experience/publications. The application should reach at the address given below within 15 days from the date of advertisement. The envelope should be super-scribed as "Application for the post of RA under Short-Term Research Fellowship". No. TA/DA will be paid for attending the interview. Note : ONLY hard copy of the application in the given format will be entertained.